The recently constructed Community Center is an AWESOME venue for making Disciples of Jesus. Kids congregate there throughout the week, playing games and participating in Gospel-centered discussions with SuNica staff and volunteer leaders. And it just hosted an epic soccer tournament between El Limonal’s hometown kids versus the visiting El Porvenir squad! And eventually it’ll be so much more - there’ll be a garden where kids can learn about agriculture, after school programs to reinforce lessons learned in the classroom, Lego and chess clubs to develop critical thinking, and ultimately evening programs geared toward adults in the community. But like everything, all that costs money. There’s facility costs like the security team that keep the SuNica kids safe, equipment and materials to implement new programs, and of course we have to pay for our most precious investment - our Discipleship Coordinators. All that to say, we’re seeking $2,200 in new monthly commitments to cover costs associated with running the Community Center and to keep our staff paid. Discipleship Coordinators like Esmirna, Darwing, Erick, and Hector are changing lives every day by living out the Gospel in El Limonal, Salinas Grande, and El Porvenir, showing a new generation of believers how to be followers of Jesus in their own community. And the Community Center amplifies that message while also providing a place of peace and safety for kids to learn, grow, and THRIVE! 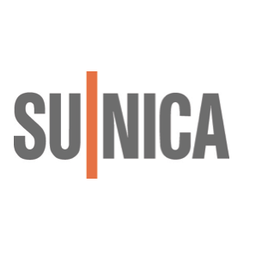 Be a part of funding the very Heart of SuNica - help us keep this thing moving by making a monthly commitment today! Thank you! [So don't Sponsorships pay all those staff salaries?